Californian brand Patagonia has been catering to the needs of climbers, hikers and assorted outdoors-y types since 1973, and along the way found itself an accidental streetwear icon. Shown here is the Fjord Flannel Shirt which is constructed from Patagonia's signature organic cotton which is lightweight yet highly durable. This traditionally cut long sleeve shirt has a button up front with collar. A simple single-button flap closure passport sized chest pocket finishes the look. 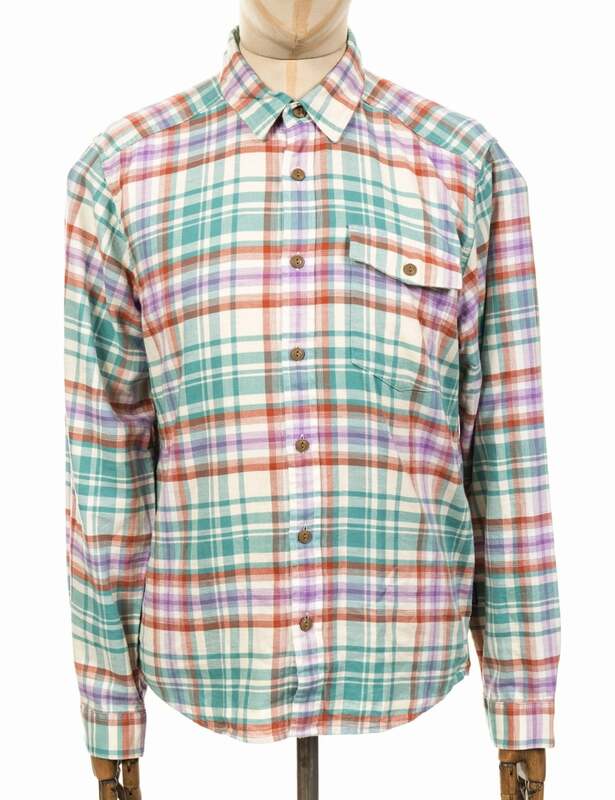 Shop the full range of Patagonia shirts here.